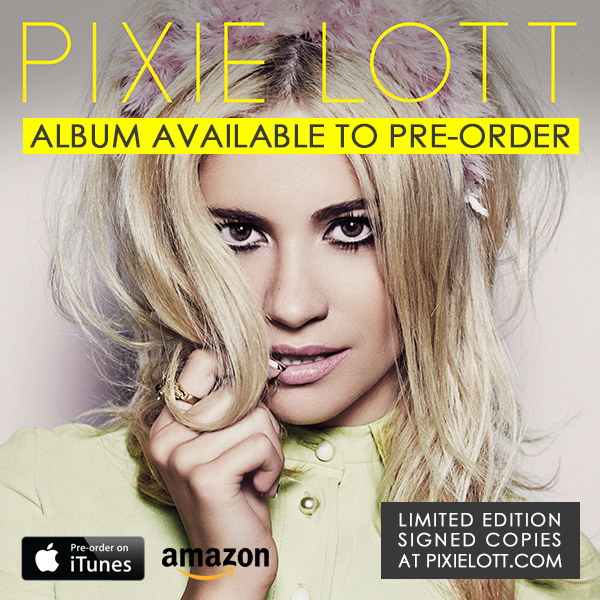 Pixie announces new album release! The wait is almost over as Pixie has announced the release date of her eagerly anticipated third album! The self-titled Pixie Lott will be released on the 4th August and will be preceded by a brand new single, which will be revealed over the coming weeks. Pixie Lott was recorded in New York and London and is Pixie’s most personal album yet. Inspired by her love of 1960’s fashion and soul music, the young British songstress has stamped her personality all over this record. Pixie released the first single from the new album Nasty In March and it was another Top 10 for the British pop superstar. The video for Nasty has already clocked up 3.6 million views on YouTube. Pixie, fell in love with southern soul and the sound of 1960’s Stax Records as a child, and the new record is inspired by that style of music. On this album, Pixie took samples and sounds from that era and mixed them with modern beats and contemporary production. She brings that inspiration to her Live At The Pool sessions, with covers of some of her favourite songs from 2013 – Bruno Mars When I Was Your Man, Lorde’s Royals, Avicii Wake Me Up and more to go live soon. Last month, Pixie premiered the video for album track Heart Cry, an exclusive taster of the new record can be viewed here. The album is available to preorder now through iTunes and Amazon, or preorder a signed album, limited edition here.